I just returned from a fabulous vacation with my family, from which I am sure my kids will have cherished memories, and which cost me a ton of money. This brings me to the subject of this post: Save a lot of money for your vacation and assume that it will cost you more than you anticipate. Since my purpose in life is to help women achieve financial independence and afford the life of their dreams, I am constantly reminding folks to save money. My vacation last week reminded me that no matter how much you save for a goal, things will happen in life that you don’t expect, so it’s a good idea to save above and beyond what you think you need. 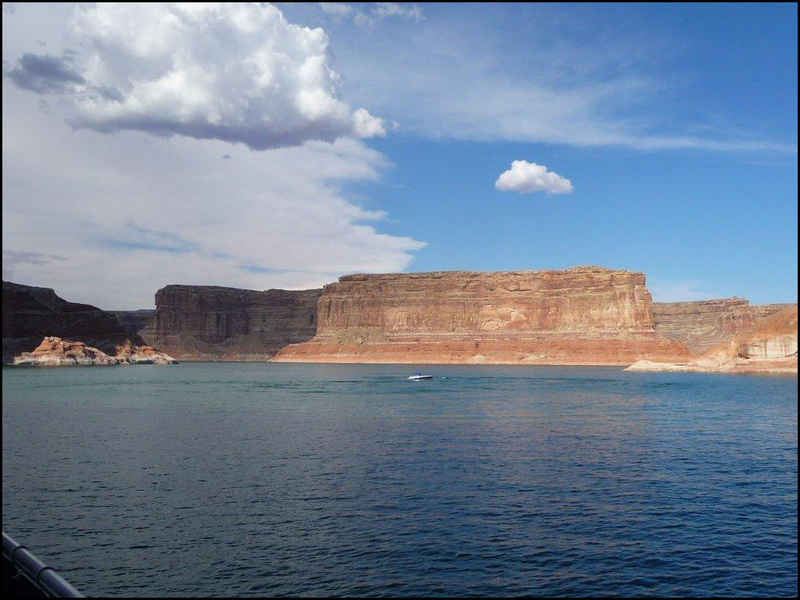 My husband and I just took eight people to Lake Powell for a house boating week. 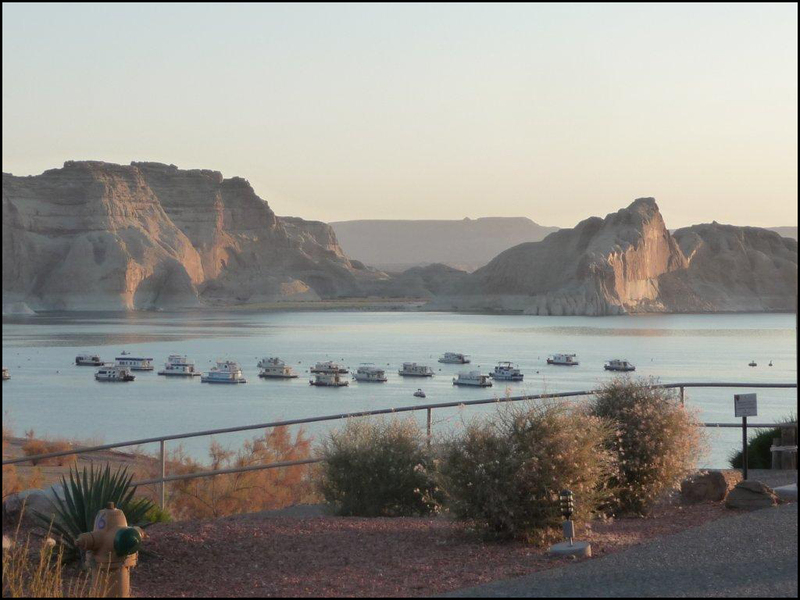 While I have to tell you this is truly a great vacation for anyone who has crazy active teen-aged kids who love the water and austere beauty of the desert, it is also a great vacation for unplanned expenses. Number one unplanned expense: We decided to detour our road trip to the Lake by way of Las Vegas. If you’ve been to Las Vegas recently, I am sure you know that there is nothing cheap about the city. In fact, try staying on the Strip with eight people including five teenagers, three of whom eat 24/7. After one full day and night of pretty much all the debauchery I could take and dropping a considerable amount of money, we continued on. Half a day later we arrived at Lake Powell only to find out that the jet ski we hauled for the past two days and which the kids are planning on using for the next week, is broken. Number two unplanned expense: We decide to rent a jet ski for the next week. Did I mention that we are at a vacation destination where you are held financial captive by the whim of the resort? Name your price and we will pay it. At least the kids were happy. Before leaving the dock for the next week, we ventured up to Walmart to buy food for the brood, since we will be far from any civilization where we are going. Number three unplanned expense: We take one of the children’s friends with us who apparently never stops eating. I mean never. This kid is thin as a rail and is always hungry. In the past two days on the road I can now understand why his mom gave me extra money and thanked us profusely for taking him on this trip. “Do you know how much he eats?” she asked. And we said, “how much can any one child possibly eat?” Well, now we know. Our week goes by super fast and before we know it, its over. We have consumed a huge amount of food, drink, and gas (its all about the water toys here) and spent far more than we expected. We embark on our trip home with a very tired group. We stopped in Vegas again on our way back, but only for dinner. We even escape the Bass Pro Shop without having bought a new ski boat or ATV, but only by the skin of my teeth. For a moment we consider spending the night in a hotel because we are so tired, but decide to continue on home where we arrived at 3am. We had a great time and I wouldn’t have changed a thing, but in the future I would definitely plan on spending considerably more than I had originally thought. I have come to find that no matter how much I think a trip is going to cost, and frankly most everything you are planning for, it always costs more than that. Nice post. My wife and I did that same thing once when our kids were much younger. My in-laws came with us and we all stayed on the house boat. They are both gone now, and that makes the memories of this trip even more special to me. My mother-in-law painted picture of a lake scene that I have in my home office and it is one of my favorites. It was before jet skis were popular (before they even existed, actually). The tie-in to the subject here is that we camped at a rest stop on the way over, and we took a detour to AVOID Las Vegas.